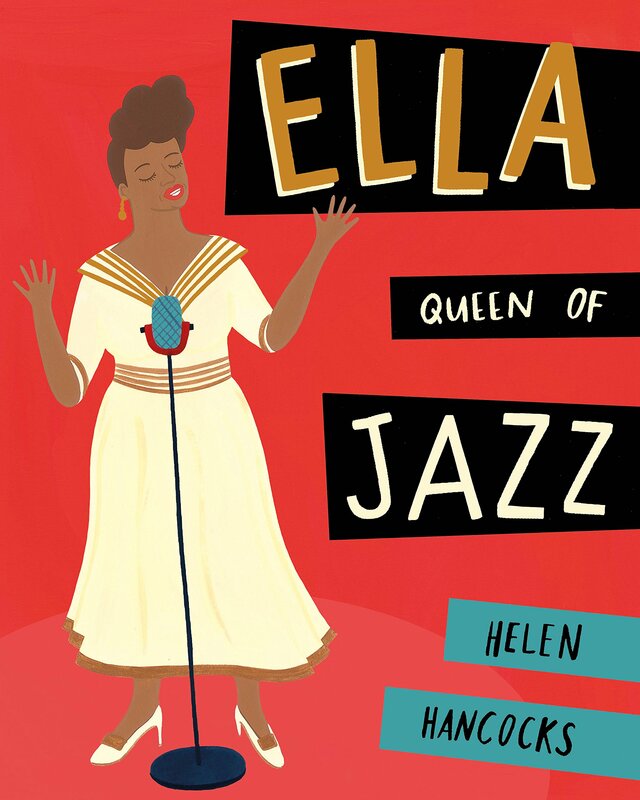 This is a picture book introduction to the singing career of Ella Fitzgerald and her friendship with Marilyn Monroe. It is also about the discrimination against black musicians in the States in the 1950s and early 1960s and focuses on an episode in which Marilyn’s intervention helped Ella secure a gig at a night club which didn’t hire African-American artists. If, given its young audience, the story is necessarily simplistic about the racial situation in the USA, its point about the power of music and friendship to bridge social divides and break down prejudice is well made. It also introduces children to two of the major cultural forces in twentieth century America. It is based on a possibly true story of how Ella and Marilyn came to know one another. Brief summaries of their lives appear as an afterword, with the story itself making clear what their friendship meant to each of them. There is also a photograph of Ella and Marilyn together to compare with Hancocks’ depictions. Hancocks’ illustrations have a suitably retro feel in colour and style and support a straightforward narrative. The text’s intermittent attempt to imitate “cool cat” dialogue – “Ella Fitzgerald loved to sing and she sang good” – is perhaps less successful. And perhaps the illustrations of influential movie couples accompanying the statement that “all of Hollywood flocked to see Marilyn and Ella” might have provided clearer characterisations of the stars of the time, even if young readers might not recognise them. To be really picky, Marilyn’s use of the term “paparazzi” in the story predates its historical usage in the English language and is unnecessary. “Press” or “reporters” would have done just as well.